An upscale Mexican restaurant is opening next year at Scottsdale Fashion Square. Toca Madera is a concept based out of West Hollywood that showcases local ingredients and bold flavors. The Scottsdale restaurant is scheduled to open in February or March 2019. Another location is planned to open in Dubai. 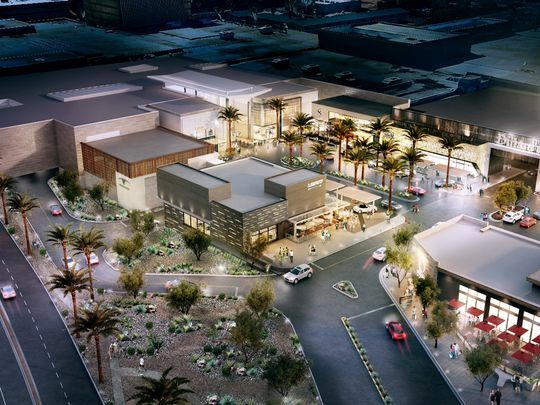 Toca Madera will be part of a new luxury two-story wing that will surround Neiman Marcus off Goldwater Boulevard. This expansion will also include Ocean 44, owned by Mike and Jeff Mastro, which is taking over the site of the former Harkins Camelview theater. Empanadas Oaxaca: Crispy corn masa filled with cilantro chicken or chipotle tofu, caramelized onion, pasilla chiles, jalapeño cabbage and pickled onions. Ceviche Blanco: Chilean sea bass, lime, jalapeño, tomatoes, cilantro, pickled onions and avocado. Mushroom and sweet corn tacos: Cremini and chanterelle mushrooms sauteed in garlic lime and layered with corn relish, sweet chipotle, vegan mozzarella and black beans. Chilean sea bass: Seared Chilean sea bass with avocado puree and sweet poached pear tomatoes. The Churro Ice Cream Sandwich: Warm cinnamon-and-sugar churro filled with dulce de leche ice cream and spiced Mexican chocolate shavings.